Are you cheating in exams? Even if you say you don’t, you’ve probably thought about it at some point. Previously, the Typical Student team told you about 6 CREATIVE Ways to Cheat in Exam and Not Get Caught in 2018. However, all of these great tips won’t work in Algeria! More than 700,000 Algerian students are currently sitting in exams for their high school diploma. Strange as it is, this week Algerian administration took drastic measures to shut off the internet connection across the country while exams are being held! Both mobile and broadband internet connections were turned off for an hour after the beginning of national high school graduation exams. The exams are to be held until June 25, so the outages will continue throughout whole exam season. 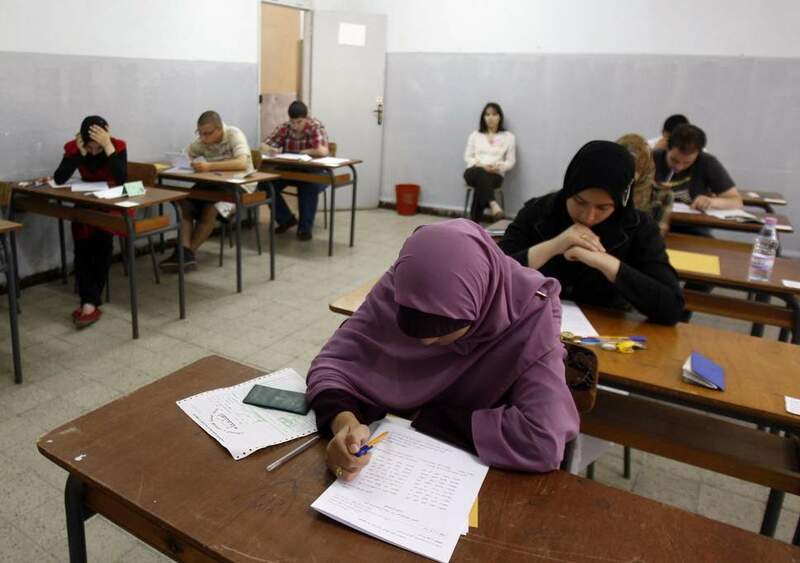 Why Is Algeria Taking Such Drastic Measures to Prevent Cheating in Exams? The decision to shut down the internet connection nationwide for the time of exams has its reasons, of course. This way, the Ministry of education tries to prevent leaks and cheating. In 2016, the final exams were swept by widespread cheating. The test questions were leaked online, so almost 500,000 students were forced to retake the exam a week after the incident! This year, strict measures are taken, according to the Education Minister Nouria Benghabrit: “We should not passively stand in front of such a possible leak”. Mobile phone jammers and surveillance cameras have been installed at printing presses that publish the exam to keep the test questions and answers in secret. Similar cheating prevention measures are taken in other countries. What Other Countries Block the Internet to Prevent Exams Cheating? According to the Guardian, Ethiopia resorted to the same in 2017, after the university entrance exam questions and answers had been leaked online in 2016. Also, Iraq turned the internet connection across the country for a few hours in 2015 and 2016 while sixth-grade national exams were held. Finally, Uzbekistan blocked mobile internet and SMS services in 2016 while university entrance exams were taken.